J. Matthew Knight, MD, is a nationally recognized, board-certified dermatologist who specializes in skin cancer, laser surgery, and cosmetic dermatology. He is the founder of Knight Dermatology Institute, which has locations in Lake Mary and Orlando, Florida. Dr. Knight has built lasting relationships with his patients for more than 15 years, providing exceptional medical care and aesthetic services. His expertise has been featured in local and national news programs and magazines. Dr. Knight serves as the Chief of Dermatology for Orlando Health and is the founder/director of the Orlando Health UF Health Melanoma & Skin Cancer Center. A sought-after author and public speaker, Dr. Knight has addressed many prestigious medical organizations, including the American Academy of Dermatology and the Vegas Cosmetic Surgery and Aesthetic Dermatology Conference. A native of Orlando, Dr. Knight attended Lake Highland Preparatory School. He then studied medical sciences while pursuing his undergraduate degree in English literature at Indiana University in Bloomington, Indiana. He obtained his medical degree from the Indiana University School of Medicine in Indianapolis. Dr. Knight completed his internship at the University of Hawaii, with concentrations in general, vascular, and plastic surgery. 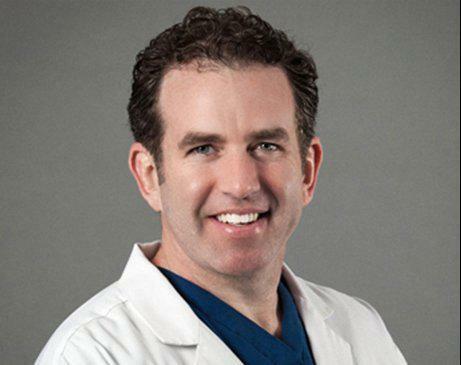 He completed his dermatology residency at the University of Kansas in Kansas City, Kansas, returning home to Orlando in 2004 to start his practice. Dr. Knight is vice-president of the Florida Society of Dermatology and Dermatologic Surgery. He is past president of the Central Florida Society of Dermatology, and a fellow of the American Academy of Dermatology, American Society for Dermatologic Surgery, and American Society for Laser Medicine & Surgery. He holds professional affiliations with the Florida Society of Dermatologic Surgeons and the Florida Medical Association. He is a diplomate of the American Board of Dermatology. Knight Dermatology Institute participates in most major health insurance plans including Medicare, Blue Cross Blue Shield, Cigna, Aetna, Health Choice, TRICARE and United Health Care. However, please verify at the time that your appointment is made that we participate with your particular insurance plan.